On a remote farm in the back end of nowhere, Garion grows up under the watch of his Aunt Pol. He has no idea of his true heritage or his true destiny. Nor does he know of the great adventure about to be thrust upon him when the traveling storyteller he’s nicknamed Mr. Wolf shows up with urgent news for his Aunt. News that sees Garion setting off from the farm he grew up on and out into the world. 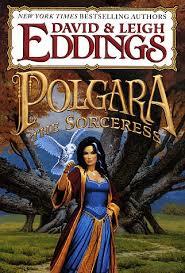 Confused by events and realizing his Aunt Pol is more than a simple cook at a farm, Garion will have to grapple with a world of magic as he comes of age! 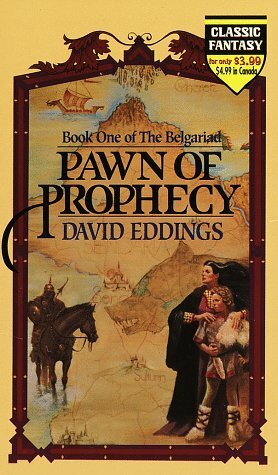 Pawn of Prophecy is a book I first read in the sixth grade. It was the perfect book to read. I was only a few years younger than Garion, just moved and had no friends, and was in need of escape. 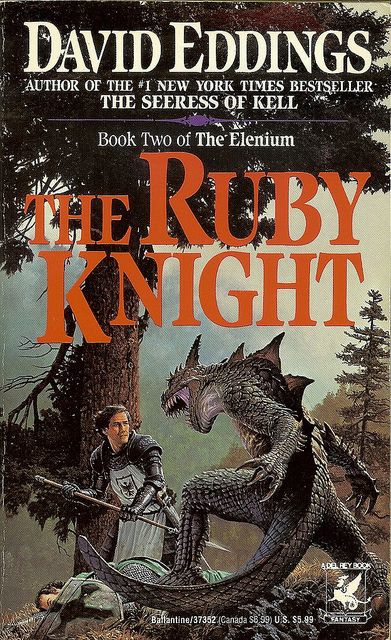 Garion’s quest resonated with me. 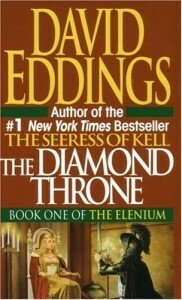 Even now, twenty years later, the book retains all its charm. Is the story of the farm boy with a secret destiny played out? It is now. 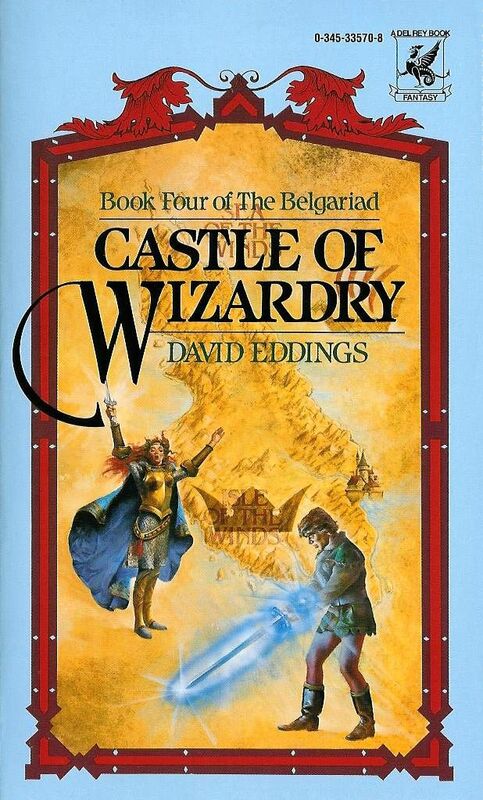 But when David Eddings penned this story, he was creating something special. 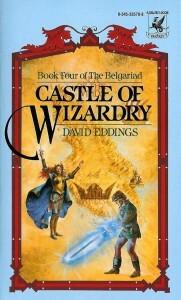 Drawing on the grand romances of the Middle Ages, he pens a Fantasy quest with skill few other authors lack. 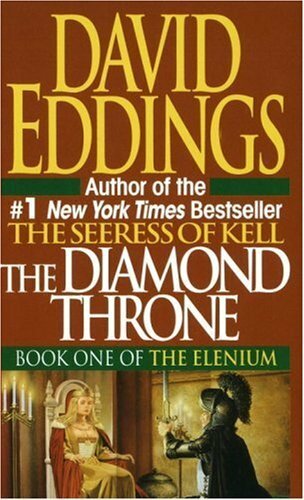 His world is rich, full of colorful characters that Eddings quickly endears you to. He straddles the line between the dark and the light-hearted. Pawn of Prophecy is a wonderful escapist fantasy, particularly for a young boy. 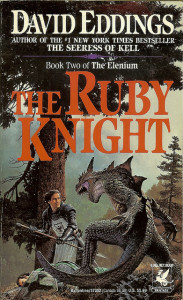 If you’re looking for a fantasy novel for a preteen or teenage boy, this is a book I’d recommend! Action, adventure, magic, danger, and a flight princess with a temper! 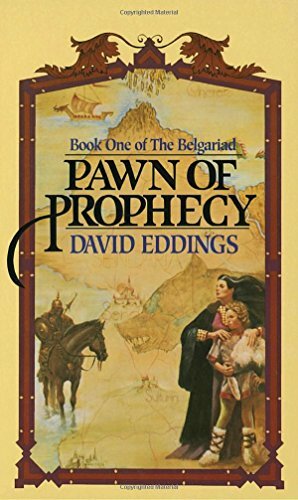 You can purchase Pawn of Prophecy from Amazon!